Are you having a really hard day? How about the last couple of weeks? Oh...I see, the last few months have been upside down and backwards. The body isn't working like you want it to, your job stinks and your everyday life has put you in the biggest rut imaginable! And you don't know how to fix YOUR mess! I can and I will...tell you and show you how! There are thousands of organizations, clubs, beliefs and groups each with a specific purpose or goal. There are so many reasons why one should consider becoming part of an organization he or she believes in. As you read about our site and if you would like more information on self-healing but you are to embarrassed to ask your doctor, your mom or dad, etc...send us an email. Better yet...Type in REIKI HEALING OR MASTER in your favorite search engine and see what happens. There are thousands of real, down-to-earth Masters in our world today-teaching, instructing and assisting other new members in becoming one with their mind-body-spirit and living as ONE within our universe. Please feel free to offer comments and to join our mailing list. We have boards and forums for you to post on. We will have a chat room, a resource center and much more. 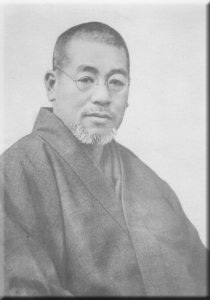 Dr. Usui...Our founding father and Master.